In Adhyay 4 of the Bhagavad Gita DVD set, Deep Trivedi speaks about how to attain True Knowledge. He also explains that to attain success, you first need to look inside you as true knowledge lies within oneself. Deep Trivedi asks his viewers to stop looking for the answers to their woes and worries elsewhere, but explore the Truth that lies within. He says that the world is a battlefield and the only people who win their battles here are the ones who have attained True Knowledge. And this is how even the most powerless people made their biggest mark in the world and so shall you. Watch as Deep Trivedi interprets the Adhyay 5 of the Bhagavad Gita in these soulful videos. 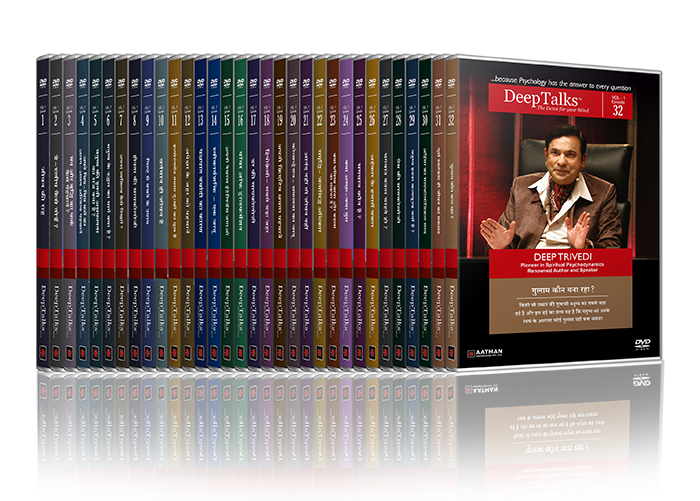 DeepTalks Bhagavad Gita is a marathon series of psychological talks and discussions (in Hindi) by pioneer in spiritual psychodynamics, renowned speaker and author, Deep Trivedi in which Deep Trivedi explains all the 18 chapters of the Bhagavad Gita comprising 700 Shlokas in detail.